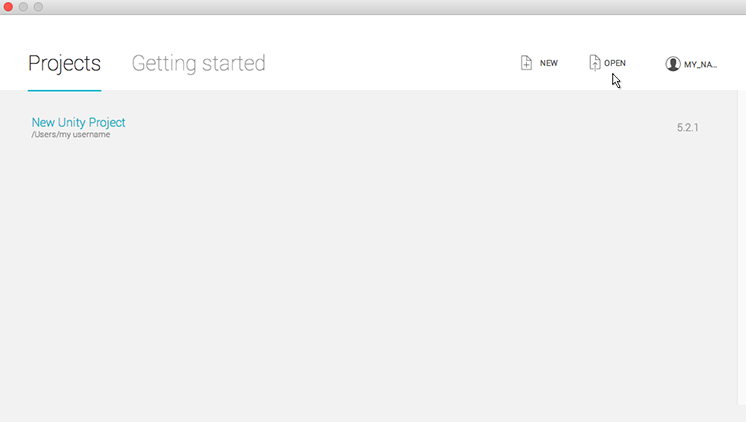 To get started, you can click on New project which will take you to the Home Screen’s Create Project view. See the section on this in Creating a Project to find out more. 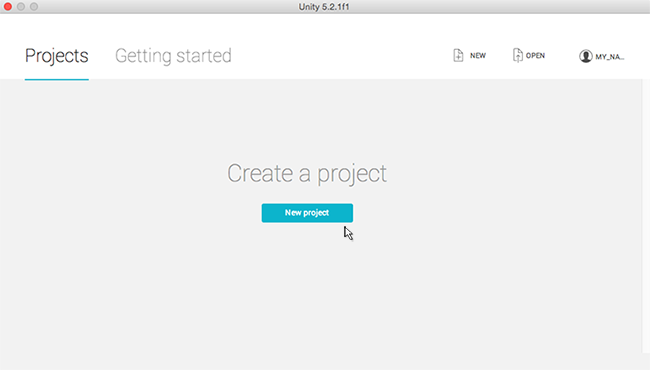 Alternatively, if you already have a Unity project on your computer, you can open it from this screen. See Opening a Project to find out more. 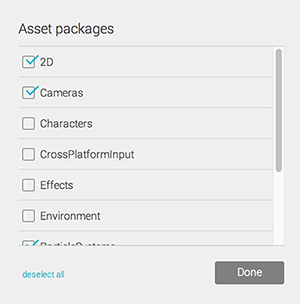 There is an option to select Asset packages… to include in your project. Asset packages are pre-made content such as images, styles, lighting effects, and in-game character controls, among many other useful game creating tools and content. 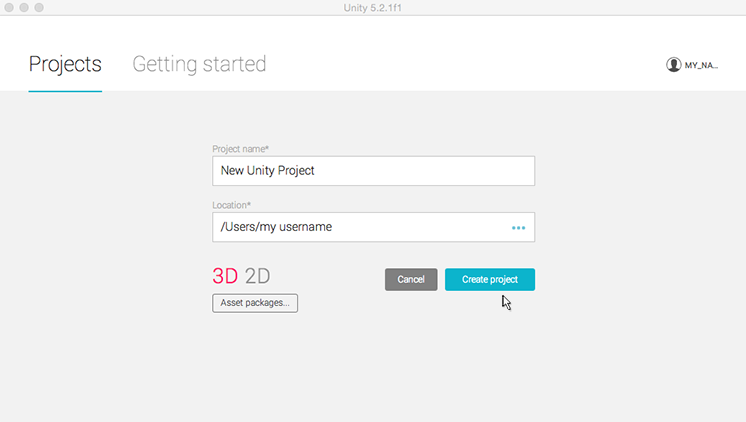 The asset packages offered here are free, bundled with Unity, which you can use to get started on your project. EITHER: If you don’t want to import these bundled assets now, or aren’t sure, just ignore this option; you can add these assets and many others later via the Unity editor. OR: If you do want to import these bundled assets now, select Asset packages… to display the list of assets available, check the ones you want, and then click on Done. 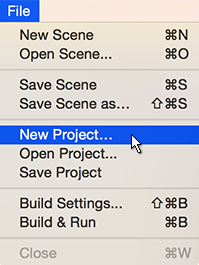 When you start the Unity editor, the Home Screen’s Open Project view displays. From here you can choose the project you want to open. 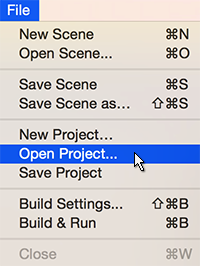 To bring up the Home Screen’s Open Project view when you are already in the Unity editor, select Open Project from the File menu.